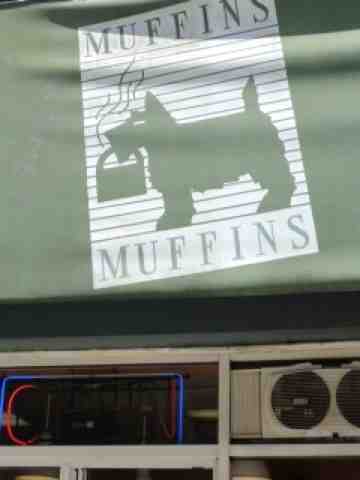 You would think that there would be muffins!! If not, then that is false advertising!! Jazzi got our remark. We thought it was false advertising, too. But, check your Mum's nose and see if it has grown a bit. We think she might just be fibbin'. You mean you think there might have been treats in there after all???? SHE certainly WOULD have brought you goodies... IF there had been any to Bring... from their time AWAY(deserting) from you. We're thinking you need to look deep into your mom's eyes and ask those questions again! Oh brother, this is just wrong ...I hope they brought you at least a dozen! One would hope she would bring you treats!